America. The land of the free and the home of the brave. Freedom of speech. The right to bear arms. Freedom of religion. Many countries all over the world would kill for a day to have any of these rights. With the Presidential Election, Veterans Day and the United States Marine Corps Birthday this month, America’s sense of pride in its military is heightened. After all, without the sacrifices of the U.S. military over the years, America would not be the powerhouse nation it is today. But while U.S. citizens are rightfully proud of their active U.S. military, not enough attention is paid to their transition into the corporate world after their service. What is life like for soldiers after they finish their service in the military? How difficult is it to transition back into daily life and into a new job? One Dallas-based company, MultiView Inc., answers these questions by recognizing the need for a smooth transition into the corporate world for our citizen soldiers. 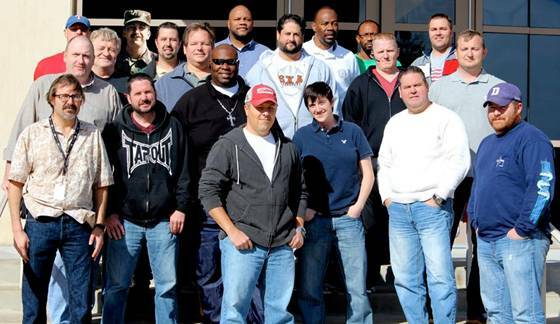 Employing twenty-four veterans in its Dallas office, MultiView uses their strengths and experiences for military-based projects. Recently, all of MultiView’s U.S. military veteran employees in the sales department have been given the opportunity to work on a project for the Veterans Association of America (VAA). Because of the nature of the project, MultiView is only allowing their veteran employees to work the assignment. This opportunity not only gives them the benefit from sales revenue generated, but also gives them a chance to connect with veterans just like themselves and help grow an association that is near and dear to their hearts. Founded in 2001, the VAA is an authorized Veterans Service Organization (VSO). They are endorsed by the government to provide programs and services to veterans. Other military affiliated associations MultiView partners with include the Air Force Association (AFA), the National Active and Retired Federal Employees Association (NARFE), the American Logistics Association (ALA), and the National Defense Industrial Association (NDIA). In addition to these organizations, MultiView partners with over 1,ooo associations across twenty different industries. Click here to learn more about MultiView.